Watch the video and find out what inspired Sony’s engineers to develop our latest LMD Series Professional Monitors. 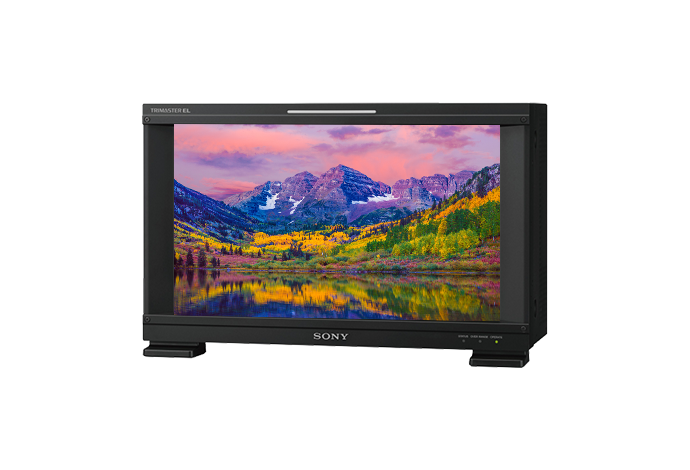 Our Professional Monitors are designed with a clear vision – to help professional content creators work more efficiently and realise maximum returns on any production budget. Don’t take any chances. With Sony you’ll benefit from the latest image display and picture processing technologies, ensuring unparalleled accuracy and consistency on every session. 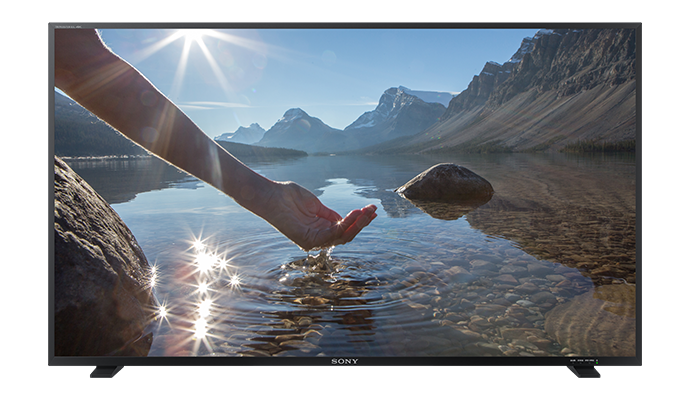 Sony draws on decades of broadcast and Live Production expertise to create a range of Professional Monitors suited to every application – from everyday use to the most quality critical projects. From in-the-field shooting to studio-based production, editing, graphics and colour grading, we’ve got the perfect monitor to suit every environment that demands images you can trust. 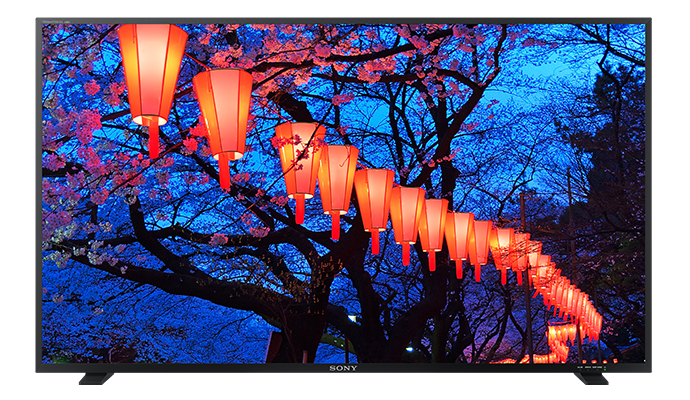 Large screen size providing highly accurate and consistent immersive viewing experience, with HDR support. Ultimate picture accuracy, consistency and stability for absolute creative confidence, supporting HDR workflow. Exceptional uniformity, consistency and colour accuracy and stability for high-end broadcast and cinematography applications. 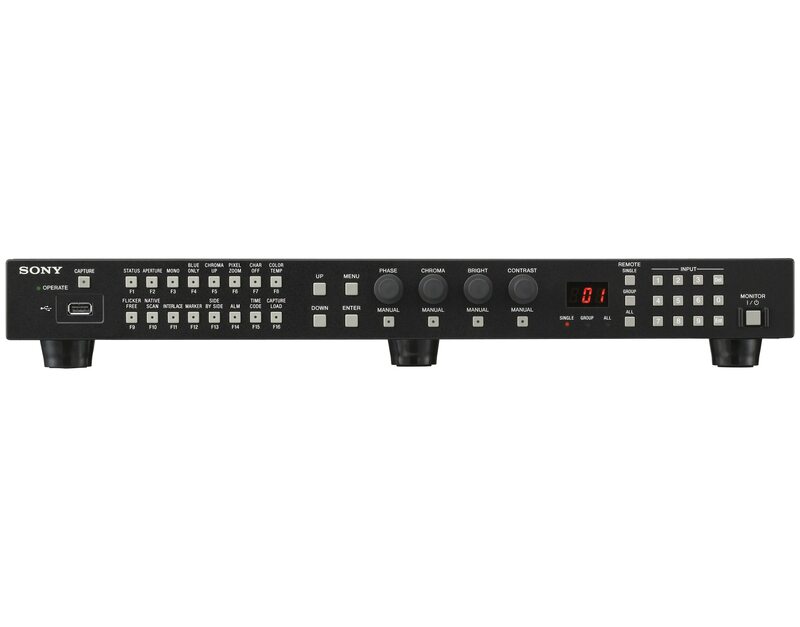 With the BVML-HE171 monitoring license the BVM-E171 now supports HDR workflow. Exceptional uniformity, consistency and colour accuracy and stability for high-end broadcast and cinematography applications. Superior picture quality in a light compact chassis for a wide range of demanding broadcast and cinematography applications. 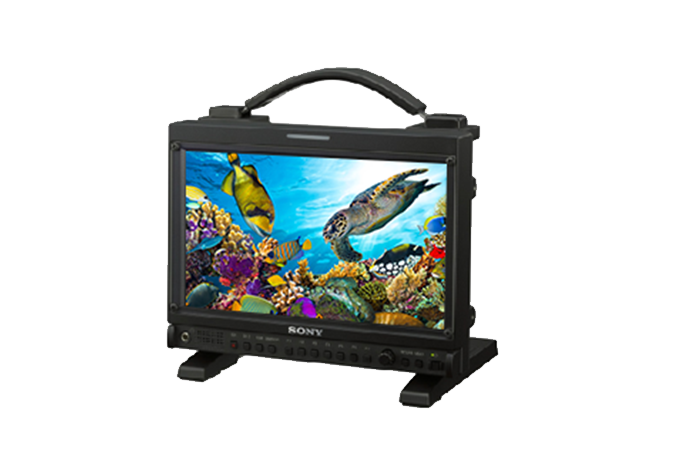 Very high picture quality and affordability in a light compact chassis for a wide range of demanding broadcast and cinematography applications. 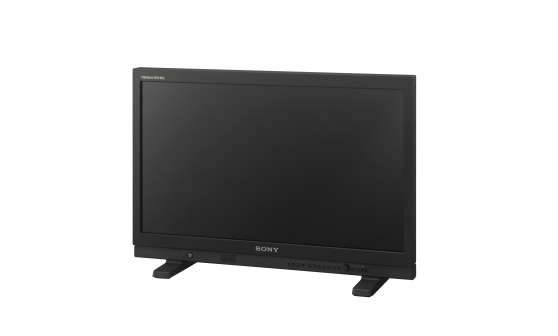 Picture quality, accuracy, consistency and reliability you’d expect from a Professional Monitor, at an accessible price. 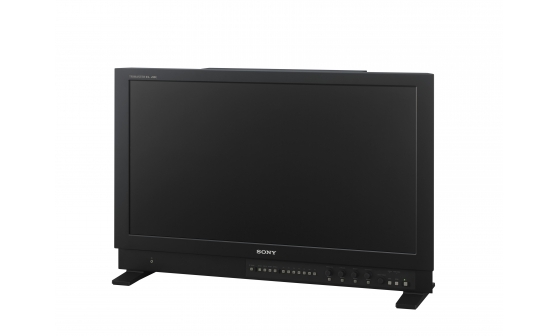 Widescreen LCD monitor specifically designed to provide reference video monitoring solution for entry-level video applications. Compact, portable monitor with excellent picture quality, ideal for indoor and outdoor applications. 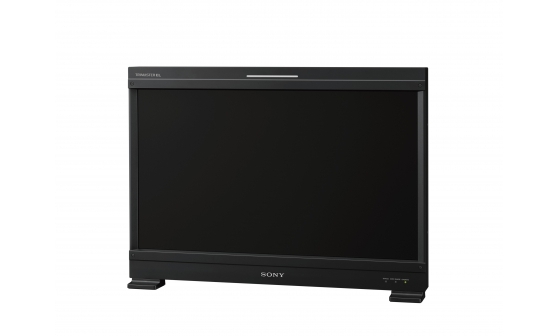 BKM-17R - the ideal partner for Sony monitors. Maximize productivity, performance and scalability by selecting the highly versatile BKM-17R Monitor Control Unit. It is capable of controlling up to 32 monitors, at once. Domestic television sets are even worse for monitoring. They’re made to entertain in your living room, with vividly saturated colours that totally change the look of your image. 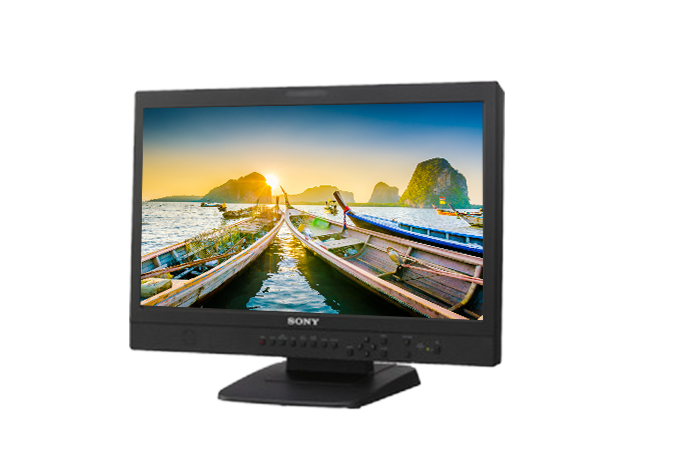 Pick a Professional Monitor – like our accessibly-priced LMD Series – and you’ll see a serious jump in performance with dynamic range, gradation, white balance, viewing angle, black level reproduction and picture consistency that’s light years ahead. You don’t need extra distractions when you’re working under pressure. Most IT monitors leave essential functions buried deep in complex menu structures. With Sony professional displays it’s a different story. Direct access to key functions is via dedicated buttons – so it’s quick and easy to adjust contrast, brightness, chroma, white balance, audio volume or input selections. On set or in the studio, you’ll save time and effort with valuable features like auto white adjustment and one-button calibration. 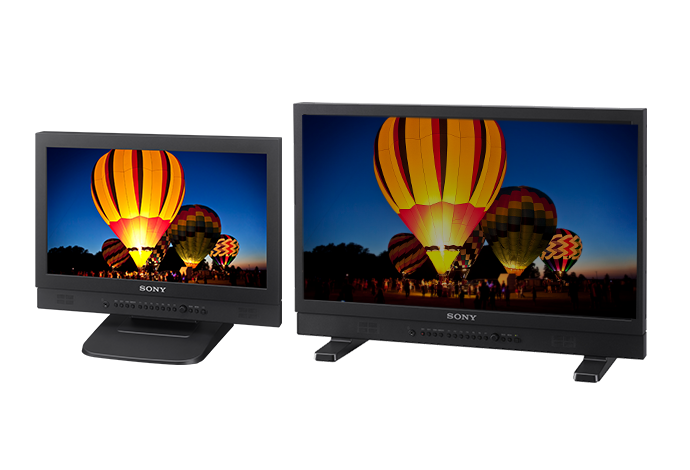 There’s a reassuring family resemblance between controls and functionality on every Sony Professional Monitor – from our versatile entry-level LMD Series to the flagship BVM Reference Series. 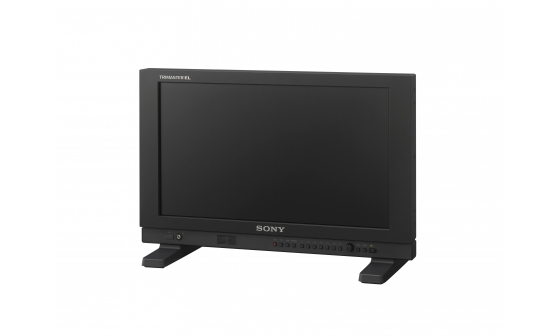 Additionally, a common and accurate 10-bit display engine is used from entry-level LMD-B Series to premium PVM-A Series to enhance picture quality and maintain picture consistency all through the picture monitors range reinforcing your confidence in what you see on screen. So you don’t need to worry about disrupting your workflow, or spending precious time re-skilling busy production personnel. 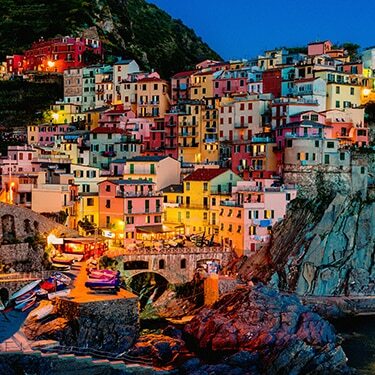 Once your audiences have experienced High Dynamic Range (HDR), there’s no looking back. HDR brings viewers closer to reality, with a viewer range of brightness levels from sparkling highlights to deep, intense blacks plus an extended colour gamut. Combined with the higher resolution of 4K Ultra HD, production in HDR evaluated with our Professional Monitors ensures your creativity always stands out in today’s competitive marketplace – and tomorrow’s. 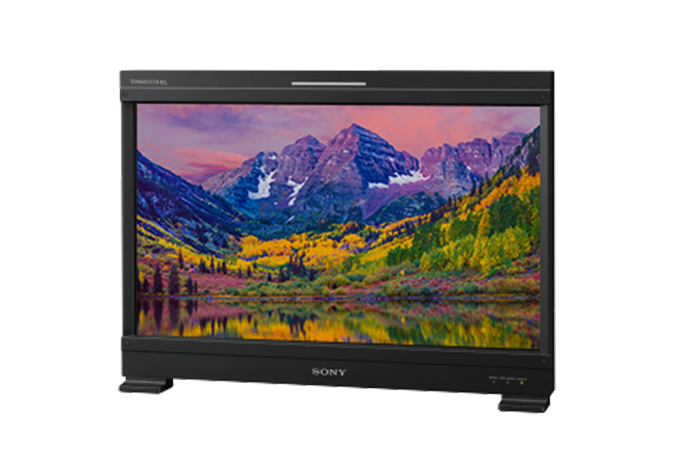 HDR-compatible Professional Monitors from Sony offer versatile support for a wide range of input formats, including the latest picture standards. Whether your content’s destined for cinema, TV broadcast or 4K streaming services, you can review High Dynamic Range images with absolute confidence that you’re seeing a true pictures-clear. 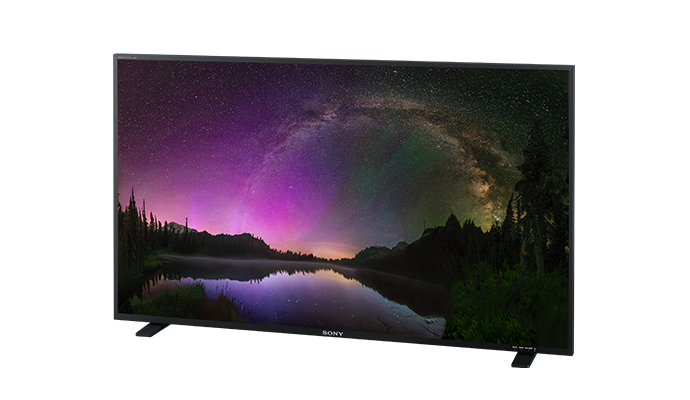 The exceptionally wide dynamic range of Sony’s TRIMASTER technology boosts production efficiency, revealing the uncompromising HDR imaging performance of today’s finest cameras. See colours rendered faithfully over their entire tonal range, plus accurate reproduction of bright highlights and deep shadow detail that ordinary monitors miss. You’ll be rewarded with truer-looking content, fewer retakes and smoother workflow. Accurately reproducing dark colour shades is a challenge for any monitor. Whether you’re working with CG, grading or mastering content for digital cinema, TRIMASTER technology assures beautifully consistent reproduction of the subtlest tones and shades over the entire luminance range – a challenge that leaves other monitors washed out. If you’re an experienced freelancer – or if you’re starting out in video production – picking the right monitor’s every bit as important as your choice of camera. So don’t compromise with an ordinary IT display: it isn’t designed to reproduce the subtleties of broadcast-quality moving images. Our entry-level LMD Series monitors take the guesswork out of assessing images in the studio or edit suite. 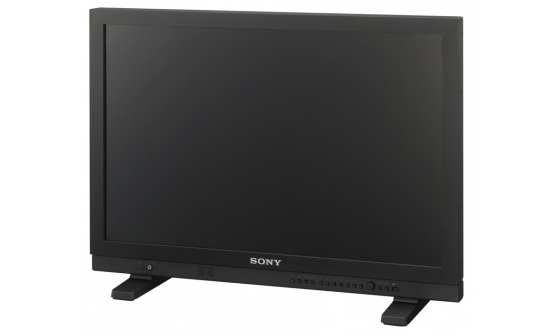 You’ll enjoy impressive accuracy and stability that are hallmarks of every Sony Professional Monitor. You’ll also value rock-solid reliability and intuitive controls with no fiddly menu diving. The fully-featured LMD-B170 and LMD-B240 make great choices for quality-conscious freelancers, offering everything you need at a very accessible price. Can you trust your monitor when it matters? 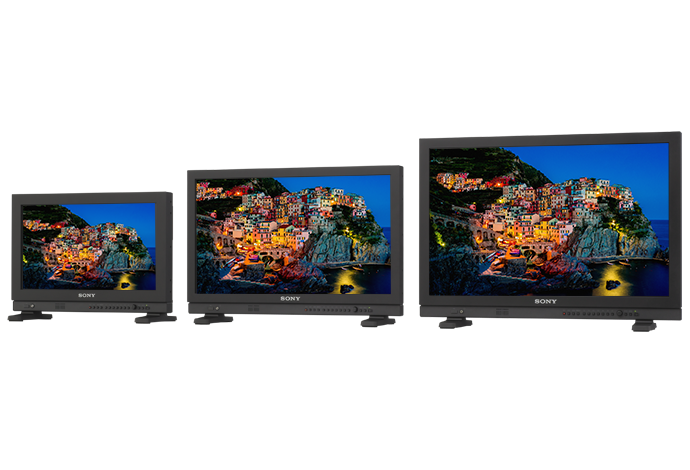 Found in our PVM and range-topping BVM Reference Series monitors, Sony’s acclaimed TRIMASTER EL™ technology consistently outperforms other OLED displays. You’ll appreciate unrivalled black reproduction, very high contrast and dynamic range, wide colour space, smooth gradation, quick response, accurate gamma and industry-leading viewing angles. From editing to colour grading, compositing and VFX, our Professional Monitors help you evaluate images with outstanding uniformity, consistency and stability. When you and your clients demand nothing but the absolute best, the acclaimed BVM-X300 OLED master monitor is the ultimate choice for critical colour grading and quality control applications. Optimised for High Dynamic Range (HDR) production, it’s painstakingly designed and engineered to handle the most exacting QC demands in today’s 4K production workflows – and tomorrow’s. There are few more unforgiving environments than Live Production, where there’s no margin for error and no second chances. 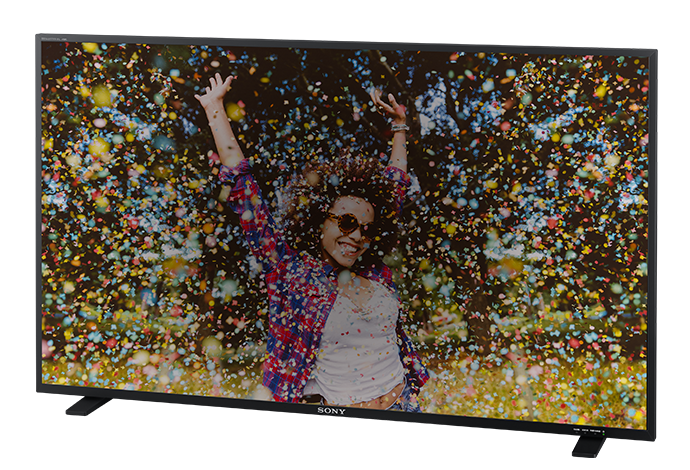 Drawing on decades of imaging experience, every Sony Professional Monitor is designed and engineered to perform flawlessly under pressure. 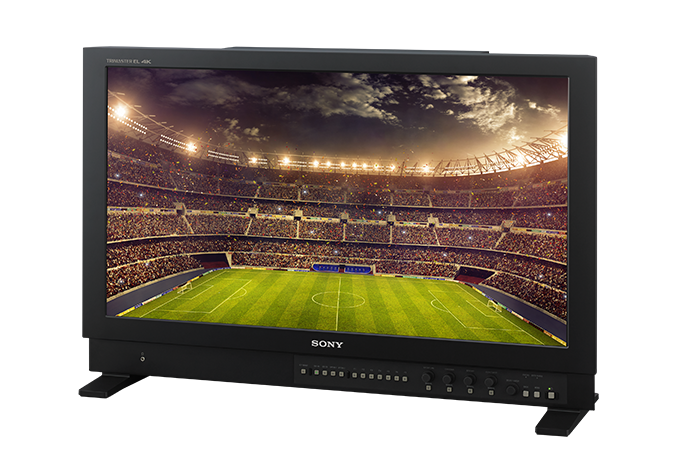 Our slim, compact, energy-efficient monitors deliver impeccable pictures in Full HD or 4K – in the field or within the confines of an Outside Broadcast vehicle. Powerful features like auto calibration keep you right on top of the game. And thanks to a familiar, consistent user interface, personnel can spend more time focusing on the creative qualities of every project. 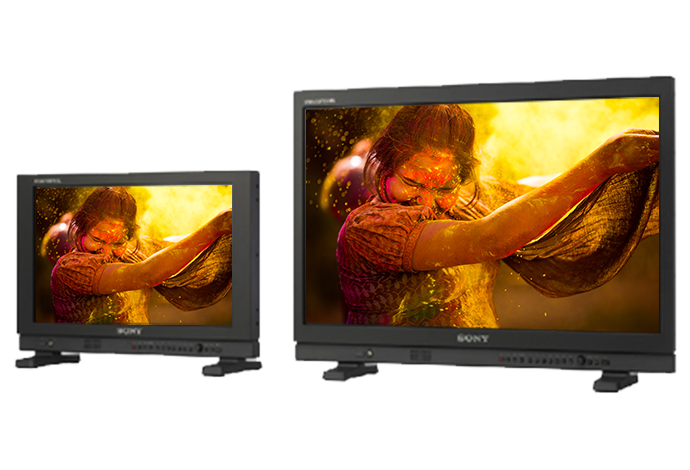 Explore the full range of Sony 4K and Full HD Professional Monitors for every application. Browse by display screen size and resolution. Compare technologies like HDR, OLED and LCD to discover the monitor that’s just right for you. Don’t leave it to chance. Your reputation’s riding on every project, so you need a monitor that can keep pace with your creative ambitions. 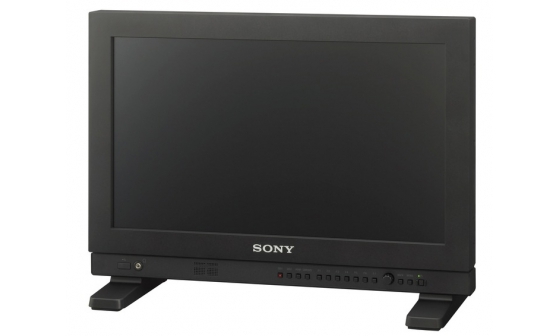 Our Professional Monitors are built for years of unflinching performance, on set or in the studio. It’s all about peace of mind. You’ll also enjoy speedy, responsive after-sales care to keep you up and running – including the reassurance of PrimeSupport, with technical help and efficient repairs to augment your standard warranty. And that’s just the start. At no extra cost, PrimeSupportPro enhances your standard warranty with extra benefits like our friendly helpdesk for expert advice. Upgrading to PrimeSupportElite gives you even more peace of mind, with fast-track repairs and the option of a loan unit to keep you up and running. 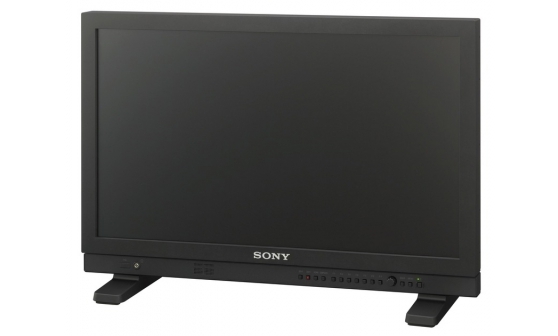 New firmware for Sony professional video monitors. Monitor de gama alta OLED TRIMASTER EL™ de 17"
Monitor de gama alta OLED TRIMASTER EL™ de 25"